An absent Relationship Story Throughline diminishes the believability of the Main Character’s development and growth. A reasonably fun jaunt through the Cosmos. Structurally, it has some issues. Like the first Iron Man, this film is split into two stories. Beginning with the Inciting Incident of the second story (well, at least the results of that banishment), Thor steps back in time to tell the tale of our hero’s Backstory, relating to the audience the development of his arrogance that would eventually come to plague him post-Asgard. But unlike Marvel’s first look at the metal man, the actual story of Thor, i.e. the story of a God sent to Earth, fails to deliver the emotional argument necessary to make his growth seem believable. Instead, we are left to assume that Thor (Chris Hemsworth) changed his ways because Natalie Portman is hot. In Iron Man you had the argument between Stark and Rhodey fueling the Main Character’s development. In Thor you had nothing. Without this essential component, the argument that Thor’s change was necessary to save the Universe falls short and feels false. This unfortunate misstep happened primarily because so much time was spent in the far more intriguing, far more interesting pre-banishment interplay between Thor and his Shakespearean-fueled brother, Loki (Tom Hiddleston). Playing manipulative Impact Character to Thor’s Main Character in the Backstory and Antagonist in the story proper (or Forestory), this brother from another easily steals the show. 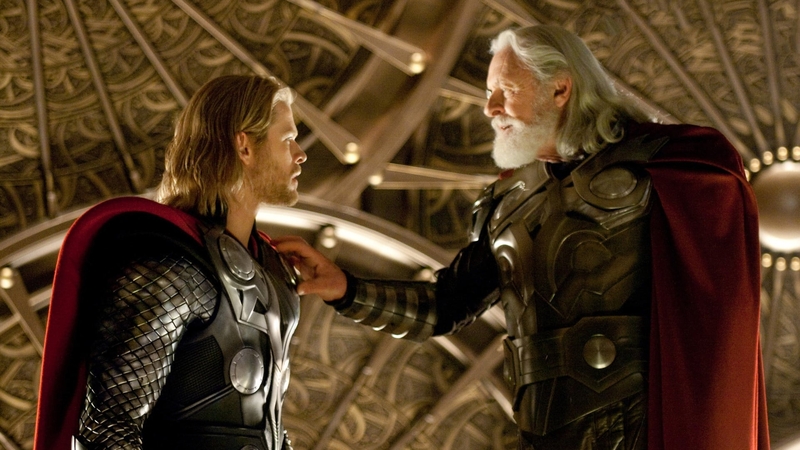 Worth checking out, but don’t expect much emotionally once Thor hits that New Mexico desert.